ASEF, the University of Groningen (RUG) and the ASEAN University Network (AUN), co-organised the 3rd ASEM Rectors' Conference (ARC3) on 25-26 September 2012 in Gronigen, the Netherlands. Themed Universities, Businesses and You: For a Sustainable Future, the Conference built on the results of the 2nd ASEM Rectors' Conference (ARC2; October 2010, Korea) and the priorities laid out in the conclusions of the 3rd Asia-Europe Meeting of Ministers for Education (ASEMME3; May 201, Denmark). ARC3 was enriched by a select number of side-events geared to enhance the quality of content and visibility of the stakeholders’ process. Read More about the ASEM Rectors' Conference (ARC). ASEF met with representatives from the University of Groningen (RUG) and the ASEAN University Network (AUN) from 9-10 July 2013 to discuss experiences and lessons learnt from organising the 3rd ASEM Rectors’ Conference (ARC3) held in September 2012 in Groningen, the Netherlands. Representatives from the International Association of Universities (IAU) and the Office of Higher Education Commission (OHEC) Thailand and Chulalongkorn University (CU), who are slated to be partners and host together with AUN for the upcoming ARC4, attended the meeting held at ASEF’s premises. ASEF Executive Director Ambassador ZHANG Yan officially welcomed the Partners and opened the talks. Initial plans for the 4th ASEM Rectors’ Conference and Students’ Forum (ARC4) were discussed. The publication ‘Universities, Businesses and You: For a Sustainable Future’ is an outcome of the 3rd ASEM Rectors’ Conference (ARC3), which was held in September 2012, in the Netherlands. This ASEF publication includes highlights of the ARC3, policy recommendations from the rectors and contributions of students to the ASEM Education Process, the Academic Speed Dating, Rectors’ and Students’ Meet and Greet. The book was launched and distributed at the 4th Asia-Europe Meeting of Ministers for Education (ASEMME4) in May 2013, in Kuala Lumpur, Malaysia. “Students are the future of our society. They need not only be trained for gainful employment, rather, they should be prepared to lead. In fact, they could become job creators.” This was one of the highlights of the discussions during the 3rd ASEM Rectors' Conference (ARC3), in Groningen, The Netherlands (24-26 September 2012). About 100 university, government and industry leaders, students and representatives of international organisations participated in this conference, which was organised by the Asia-Europe Foundation (ASEF), University of Groningen (RUG) and the ASEAN University Network (AUN). The main theme of the conference was ‘Universities, Businesses and You: For a Sustainable Future’. Participants’ discussions brought forward proposals to address the pressing issues of sustainability and youth employability. Recommendations from the rectors included re-examining academic excellence, promoting student entrepreneurialism, creating platforms for exchange of good practices on University Social Responsibility through industry and community engagement, supporting lifelong learning and promoting a credit-transfer system within the ASEM countries. The university leaders also welcomed the launch of the 1st Asia-Europe Students’ Forum including the participation of selected students in the conference. Both rectors and students strongly supported the continued involvement of the latter in the consultations and policy dialogues within the ASEM Education Process. The ARC3’s results and recommendations will be presented at the 4th Asia-Europe Meeting of Ministers for Education (ASEMME4) in Malaysia, in 2013. The recently-concluded 3rd ASEM Rectors’ Conference (ARC3) was hosted this year by the University of Groningen in the Netherlands (25-26 September 2012). It brought together more than 100 heads of universities from 76 universities across 37 countries in Asia and Europe. Topics discussed included the issue of youth unemployment and how universities can engage the business sector to provide students skills for better and sustainable employment prospects. “It’s not a question of whether or not universities should engage the business sector, but how,” said Prof Dr Sibrandes Poppema, President of the University of Groningen, the Netherlands. The rectors agreed that more engagement with the business sector was necessary, but also agreed that universities are not merely “factories for future employees”. Students, who participated for the first time in the ASEM Rectors’ Conference, voiced their opinions as well. “There is a gap between theory being taught in the universities and the practical requirements of the job market,” said Vicki Baars from the National Union of Students (United Kingdom). They further suggested the incorporation of “soft skills” such as intercultural and communication skills into the curriculum, as well as providing support to encourage would-be entrepreneurs amongst the student population. The full set of recommendations from ARC3 will be available soon. It will be submitted for consideration at the 3rd ASEM Education Ministers’ Meeting in May 2013 (Malaysia). The 4th ASEM Rectors' Conference will be co-hosted by the Chulalongkorn University and the Office of the Higher Education Commission in Thailand in 2014. Some 100 heads of universities and higher education institutions, business leaders and students from 37 Asian and European countries discuss record youth unemployment at the 3rd ASEM Rectors' Conference. What can the universities do? How can the business sector help? And how could the students be involved in tackling one of the biggest challenges of our times. Click here for more details. 3rd ASEM Rectors' Conference: Register Now! The 3rd ASEM Rectors' Conference registration is now open! If you are a rector, a business leader or a student, we invite you to join us in Groningen (The Netherlands) on 24-26 September 2012 to exchange ideas and best practices on university-business co-operation for employment, community engagement and social responsibilities. For the registration details, please click here. 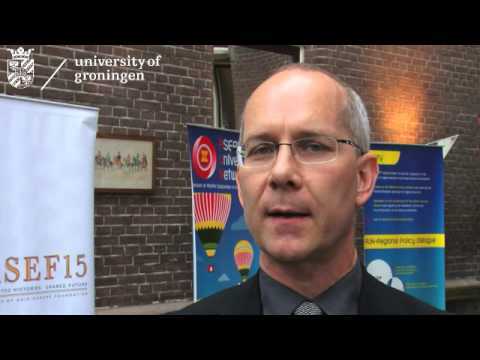 ASEF and the prestigious University of Groningen (RUG) with the ASEAN University Network (AUN) will organise the first ‘Asia-Europe Students' Forum: Are you Fit for the Future?’ in Groningen, The Netherlands (24 September 2012). This is a step forward to include students’ voice in the ASEM education process. This Forum will gather over 40 students from ASEM countries including Australia, Brunei Darussalam, Bulgaria, China, Estonia, France, Germany, Greece, India, Indonesia, Lithuania, The Netherlands, The Philippines, Romania, Russia, Singapore, South Korea, Thailand and Vietnam. Registration is still open for more students who are willing to join. 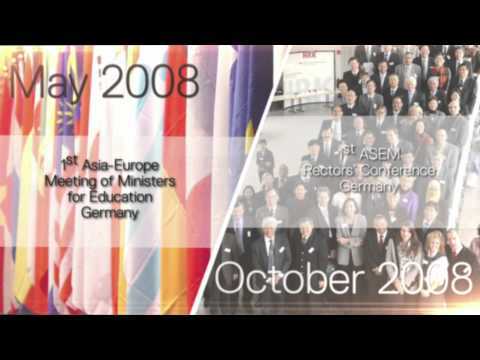 The 3rd Asia-Europe Meeting (ASEM) Rectors’ Conference will be held in The Netherlands in September 2012. This week-long biennial dialogue will focus on university-business cooperation as well as the universities’ stakeholder engagement. It will gather university leaders and higher education experts from ASEM countries. They will discuss topical higher education policy issues between Asia and Europe. ASEF convened the 3rd ASEM Rectors’ Conference Partners’ Meeting in Singapore (20-21 October 2011). Senior officials from the University of Groningen (RUG), The Netherlands and representatives from the ASEAN University Network (AUN) participated in this meeting. This meeting was to prepare the programme for the 2012 conference, participants’ selection process and other side-events.